Local artists: Before I embark, I research local artists. I love to bring home something that was actually made in the area. Products crafted in the area can often give you a window into the history and even the nature of the area. Sometimes, you can even engage in a local art experience like watching glass blowing or even trying it yourself! Plus, local artists love their craft and love to share! Visit local history museum: Many towns have their own history museums or public museums. A visit to one of these museums will provide with insight into how a community has changed over the years, important industries, historical events and more. You really can obtain a great basis for your trip and have further inspiration into what you would like to do. Talk to residents: Locals can key you into a treasure that is off the beaten path. Locals can give you tips about unique small businesses you may not have heard of, to-die-for dishes to order, particular scenic locations that may not make it to guidebooks and more. Sip some tea or coffee: We love to find a local tea or coffee shop for a little relaxing. They provide great venues for just sitting and being in the moment rather than always rushing to the next stop. Plus, they provide a place to connect with locals and even often have boards displaying local events. Local coffee shops also tend to have local art as well. Find a locally made gift to take home: Locally made souvenirs are a great way to truly capture the moment and bring it back home with you. If the area is historically known for certain products, you also are bringing a slice of history home as well. 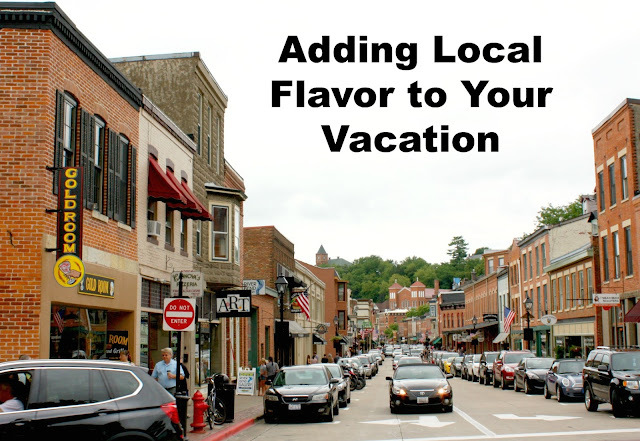 Visit homemade ice cream or candy shops: Who doesn't like a sweet or two when on vacation? Handcrafted candy and homemade ice cream are incredibly fresh and often feature inventive flavors. Local shops often let you peek in to witness the crafting or even have tours. Nature preserves: Visiting nature preserves will give you an idea of the ecology of the area. If you just keep yourself inside of attractions, you will miss the nature that helped forge the community with through its resources.